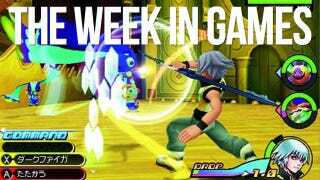 Kingdom Hearts: Dream Drop Distance on the 3DS headlines another light midsummer week. Other names arriving Tuesday include the Risen and Orcs Must Die! sequels. On Wednesday, Awesomenauts comes to Steam and Deadlight continues the Summer of Arcade on Xbox Live.